John leverages nearly a decade of experience in the insurance industry in his dual role of account manager and new business marketing manager. He is responsible for managing his client's accounts, and ensuring that all new business accounts with strong carriers. John joined NSM in 2011, bringing 9 years of industry experience. He has served as a broker in a middle market practice, and worked on law firms and public entities. John now has a dual role as both an account executive and the new business marketing manager. As the new business marketing manager, he is responsible for the initial carrier placement of all NSM of new retail clients. 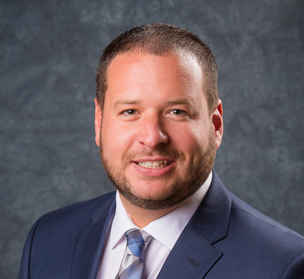 John earned his BBA in Risk Management and Insurance from Temple University, and holds a Pennsylvania Property & Casualty Producers License. ©2019 NSM Insurance Group. All rights reserved. Web Design by Push10.